Phil Hellmuth knows how to make memories at the World Series of Poker. Poker Summer Camp 2018 has come to a close. The 49th annual World Series of Poker is officially in the books and, as time passes, this year will be remembered for the wild one it was. Thousands of players flooded the halls of the Rio All Suites & Casino in search of their slice of the multi-million dollar prize pools, but also to have the time of their lives playing the game that they love. So, before too much time passes and players begin to look forward to their next great poker excursion let’s take a look at some of the most memorable moments from the summer that was WSOP 2018. In a summer filled with hundreds of thousands of hands dealt, the hand that took the Main Event from ten players down to the official final table of nine may be one of the most extraordinary in Main Event history. The hand seemed so improbable. Three players all-in, two of them holding pocket kings and a third with pocket aces being broadcast to the world via ESPN. Nick Manion raised with his aces and, behind him, Antonie Labat opted to simply call his pocket kings. When short-stacked Yueqi Zhu peered down at his own pair of pocket kings, he moved all in. Having Zhu covered, but with fewer chips than Labat, Manion moved all-in as well. Then Labat had a big decision: call here with his under-represented kings for a shot at the chip lead or preserve his current stack, which was second in strength at the start of the hand. Labat called and the poker world witnessed a three-way all-in to determine who was going to be at the final table. Most likely, more than the players who held the hands, the hand itself will be remembered and celebrated for years to come as an example that when it comes to the WSOP Main Event, anything can happen. 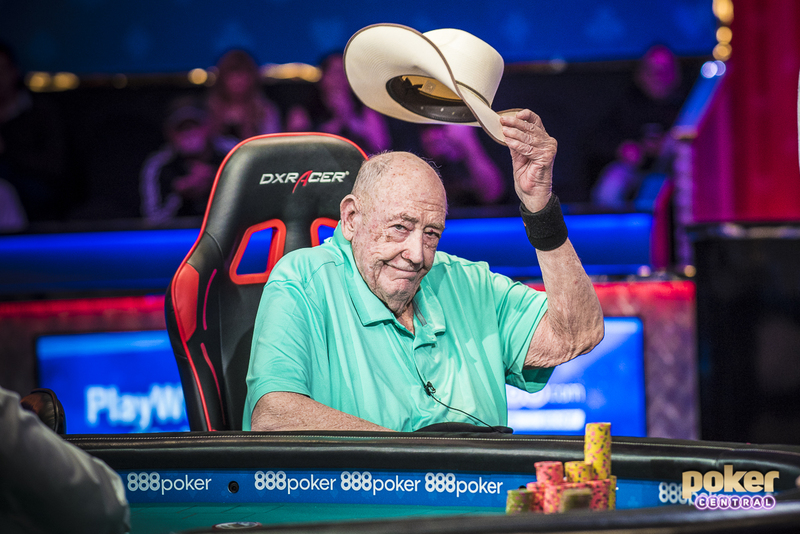 Have we really seen the last of “The Godfather of Poker” Doyle Brunson at the World Series of Poker? His wife’s health situation, as well as the grueling grind of the WSOP’s multi-day tournaments, had the poker world faced with the fact that, at age 84, this may be the last time to appreciate the on-the-felt endeavors of a poker legend. Doyle did not disappoint his fans either. For his last tournament he a deep run Event #23: $10,000 No Limit 2-7 Lowball Draw Championship. For a brief moment, it seemed like the poker gods were going to bless Brunson with his 11th bracelet. It did not come to pass though, as Brunson ended up scooting to the rail in sixth place for just over $43,000, bringing a close to a WSOP career that started back in 1972. Once the moment of Brunson’s final tournament passed, he later indicated that he may not be done with the game after all. Love it or hate it, both players and fans of poker will remember Phil Hellmuth’s 2018 entrance into the World Series of Poker Main Event. 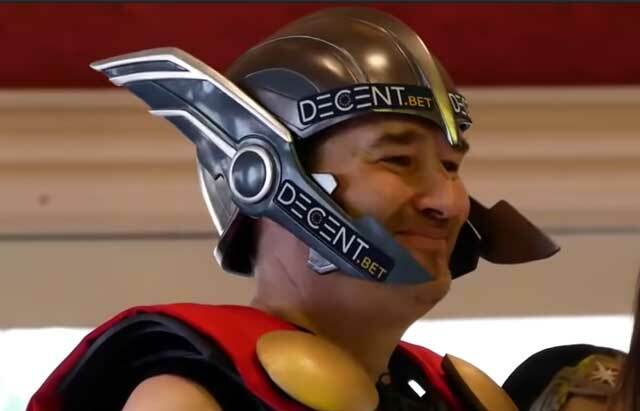 Hellmuth, sitting astride a custom built chopper, came to the tournament dressed as the Marvel Comic’s Prince of Asgard, Thor. He strode into the halls of the Rio shouting “By Odin’s Beard!” and hoisting a makeshift hammer high in the air. Surrounded by 14 models, all dressed as the DC comic’s staple heroine Wonder Woman, Hellmuth’s grand entrance was captured and broadcast for all to see thanks to the ESPN cameras. Are the circus-like arrivals for the, now, 15-time bracelet winner “good for poker” because they are just good clean fun? Or are they simply a publicity stunt for the man in the middle of the spectacle itself? Either way, the entrance achieved the desired effect as, for the day, social media was abuzz with all things Hellmuth. Time and time again we see the pulse-pounding moments when players are on the verge of capturing their first WSOP bracelet. Flush with excitement, but reserved until the hardware is in their hands, it’s easy to be happy for those humble enough to win with grace. Sometimes though, the excitement of having your opponent crushed is too much to handle. When excitement becomes excessive celebration, the poker gods are happy to hand down a healthy dose of humility. Sang Liu couldn’t contain his excitement when he discovered that he had Roberly Felicio all-in and dominated. The pair were heads-up for the million-dollar payday of the 2018 Colossus and victory for Liu was two cards away. Lui did just about everything you shouldn’t do. He jumped in the air, he danced around the table, ripped off his jacket and, perhaps even, began spending his life-changing payday in his mind. That was not going to happen as with only three outs to the river, Felicio was granted his “one-time” and Liu’s dreams of being a WSOP champion were wiped away. A teaching moment perhaps. Felicio went on to take the bracelet home for Brazil and Liu still made out with $500,000. In one of the stranger moments of the series, a massive storm interrupted the flow of the Main Event. On Day 5, with almost 90 minutes left in the day, the Rio Convention Center experienced a power outage, leaving players, quite literally, in the dark. Left with only the glow of the player’s cellphones to light the room, tournament directors sent the players on an unscheduled break so they could take some time to determine the next course of action. After reaching WSOP Tournament Director Jack Effel by phone, it was determined that when players came back from break it would mark the end of the day. Despite the fact that the lights came back on at the end of the player break, the wheels of players bagging up were set in motion and for many players, the early end of the day was a welcome moment where they could get a few extra minutes of rest. Michael Dyer, ended that strange Day 5 with a massive chip lead, which he rode all the way to a third-place finish in the Main Event.